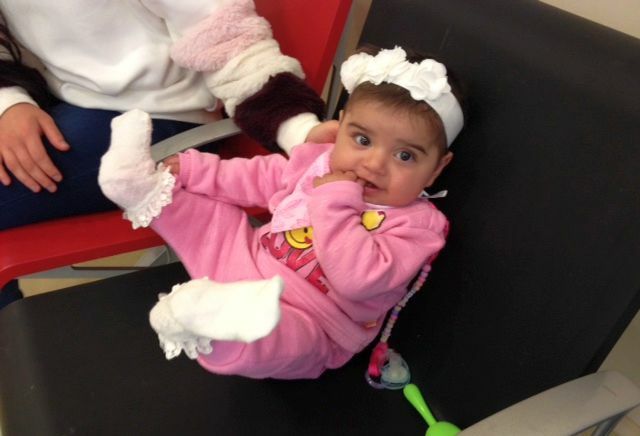 Today Varin received her last echo and the official OK from the cardiologist to travel home to Kurdistan. 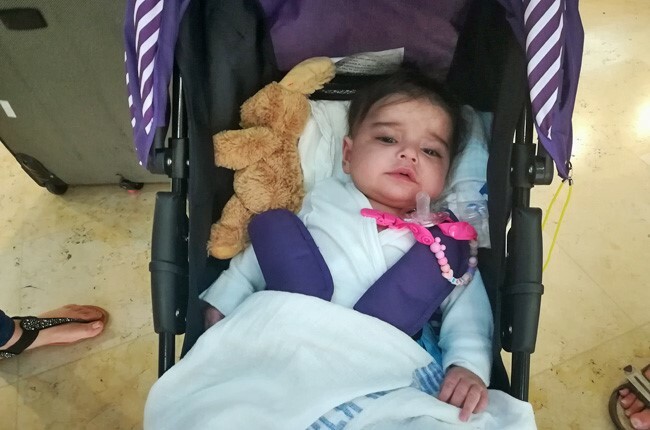 The journey has been long and it is not over yet, as Varin need more surgeries down the road, but her mother is very happy to be flying home on Friday. Praise God for the progress that Varin has made and continues to make as she becomes more active and responsive to her mother. Here is a picture with Varin, her mother, and her favorite cardiologist. 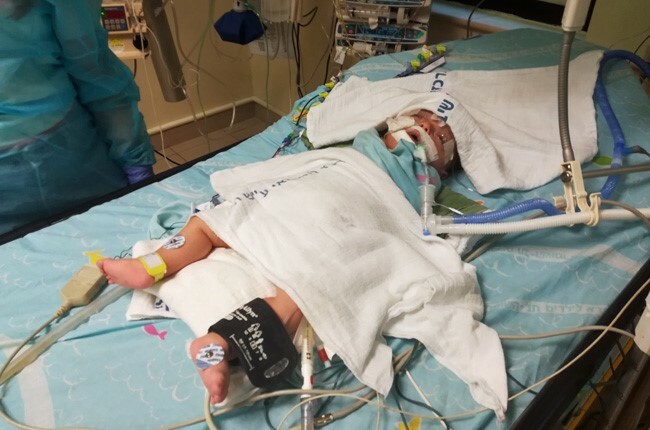 Thank you for your prayers for this precious child and her mother. Our lovely Varin had an echo today. Her doctor wants the best for her and he thinks there are different ways to proceed, because it is a very complicated operation. He also mentioned that he is going to meet with the board and discuss if the best thing for Varin is going back to Kurdistan to wait 1 1/2 or 2 years, then perform the operation. Please pray for her mother, she was very sad with the news and crying. It has been a very very long journey for both of them. 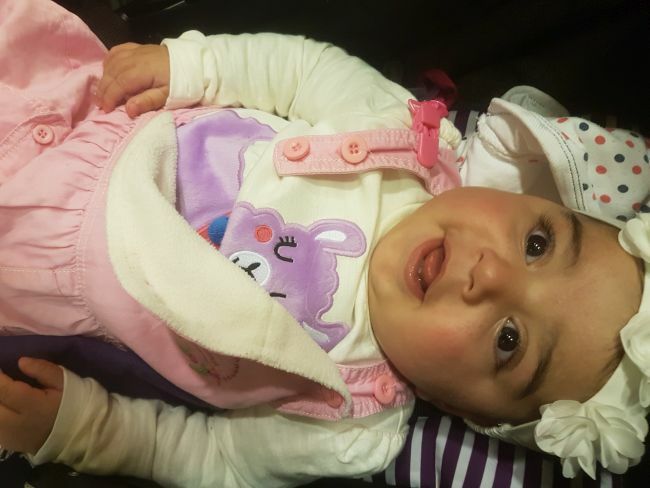 She thinks if they go back, the local doctors in Kurdistan won’t be able to keep her alive.But on the other hand Varin has improved a lot in her motor skills. She has been attending physical therapy and her mom has been so disciplined to follow their instructions, which is making her strong. Please be praying for the doctors to have wisdom as they make their decisions. This morning we went with three other families to the hospital. All of the kids had an echo appointment. Although Varin was scheduled as the last one, she got her echo the first. Varin was doing fine and Mom was playing with her. We had to wait for the doctor to know the result. The echo was good. Last week there was pulmonary hypertension but not today. The plan was to do a catheterisation tomorrow and than the doctor will decide what the next step will be. But because of lack of beds and a busy schedule for tomorrow there was no place for her cath. So after some waiting we went back to Jaffa. Mom was first disappointed but after hearing that there were many urgent kids and that Varin had such a good echo she was okay. We hope and pray there will be place for Varin’s catheterisation next week. The Mom’s had a good time together, sharing one another’s echo results. We are thankful for the good progress Varin has made so far. Today we went for a ultrasound for Varin’s brain – it was just a follow up, but Varin’s mum was very worried. After a little waiting time we went to the ultrasound room. Varin was not so happy about the cold ultrasound gel on her head, but a little YouTube movie made her happy again. Afterwards a very sweet doctor explained to us that Varin’s brain looked just fine and there was nothing to worry about. That made Varin’s mum very pleased and we hugged and laughed. Give thanks to our mighty God and pray for a full recovery of her little heart. 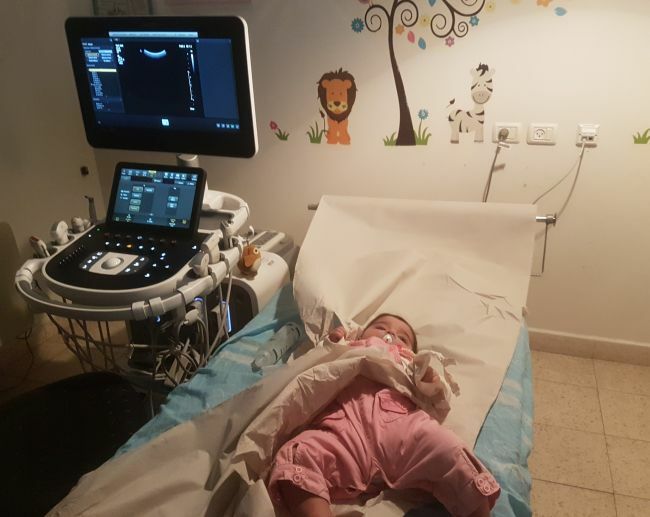 Today our beautiful Varin had an echo and an ECG, during the trip to the hospital the little one enjoyed her time in the car listening children’s music, also seeing the landscape through the window. Every time I saw her smile, I remembered how faithful God is and the miracle he is doing in her life day by day. Finally we arrived at the hospital, Mom was hopeful that her echo would show that everything was better but it was not, her echo showed Pulmonary blood pressure a little higher than last week. 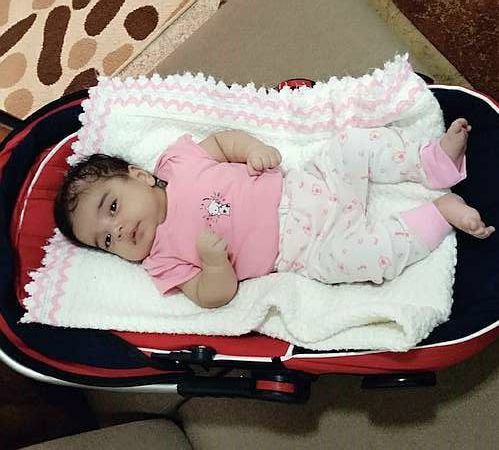 Her mother was very sad, but thanks God the doctor did not increase her medications, and she will have a new echo on Wednesday and depends on her result she will have her cath on Thursday. 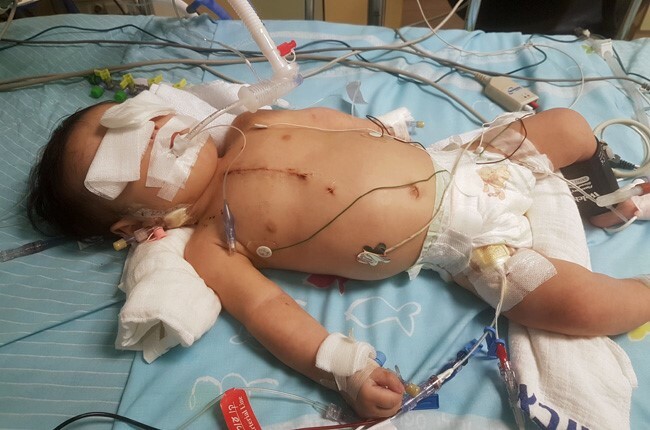 Please continue to pray for this beautiful baby for her soon and complete recovery, and also for God to fill the Heart of peace and hope for her mom. Today we took Varin and her mom to the hospital for an echo of her heart. Varin has a very complicated heart problem. 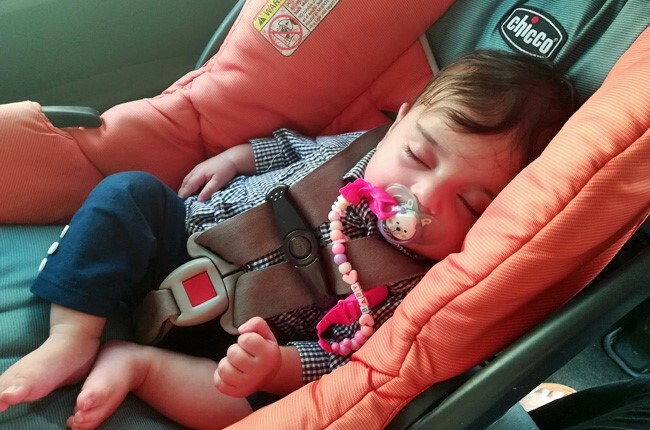 Varin was happy while driving to the hospital, and while waiting she fell asleep in her stroller. Sadly we had to wake her up to prepare her for the echo. She didn’t like it and started to cry, but Mom tried to comfort her. She cares a lot about Varin and has her worries about her. The echo went okay. The pressure on the pulmonary artery looks better but she needs a catheterisation to comfirm it. If the catheterisation shows a good result, then the surgeon will go for an operation. Dr. Fitun from Kurdistan was with us this morning. She was able to explain everything to Mom which was a blessing. Mom was pleased that she could understand what was going on. We hope and pray that the catheterisation will show good results and Varin can go for the operation. 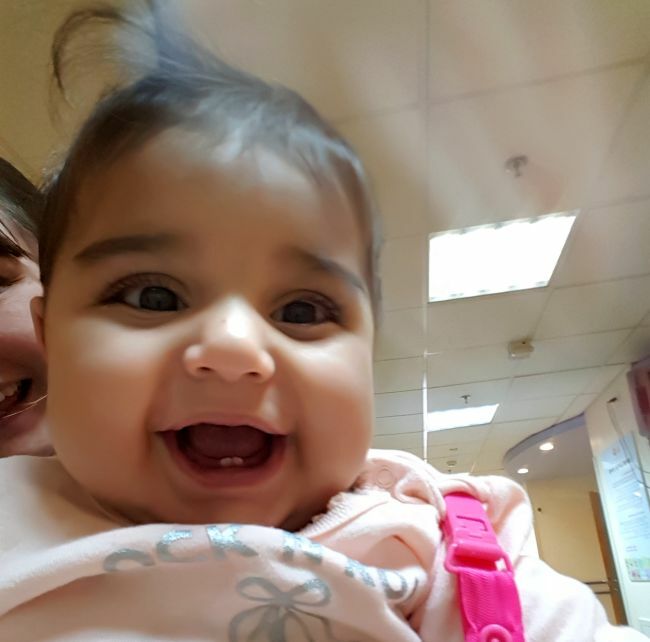 It was a joy and a pleasure to be with Varin and her mum in the hospital today. Varin was happy and peaceful. Her cardiologist explained that her heart is looking really good, and they can reduce another medication. Praise God for healing Varin! We had a lovely chat today, as mum has a lot of questions after her visit to Jerusalem yesterday with Suhail, Deb and Julio. She is very interested in hearing about how and why people could change from following religion to following Jesus. We talked about peace and prayer and it was a lovely time together. Please pray for the seeds of the word of God, and the power of testimony to take root in her life. Please pray for the continued and complete healing of our lovely and precious Varin. This morning Varin and Mom had an appointment with the neurologist. Although we have seen good improvement in the development of Varin, still there has been some concern. Due to the long intubations Varin’s development has been delayed. Before surgery Varin could grab at things, was turning around, and made some baby talk. We noticed that this has stopped and we want to be sure if the intubation has affected her brain. Therefore we made the appointment with the neurologist. He saw her and made the decision to do an ultrasound of the brain. The doctor was not in favor of an MRI or CT scan because of the sedation that is needed for these tests. The doctor also recommend physiotherapy. We do have two volunteers who are speech therapists and they will work with Varin for stimulation. Mom is concerned but also knows that we are doing everything to help Varin for which she is very thankful. 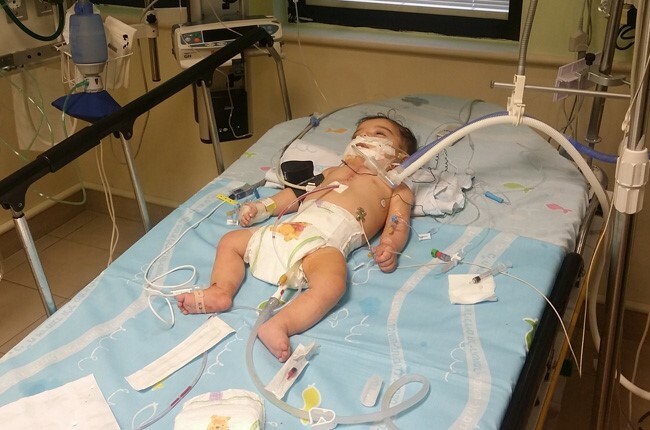 We pray that Varin’s development will speed up and be back to normal! It was a busy day in Sheba today, with many members of the medical team dashing about to see to urgent children. 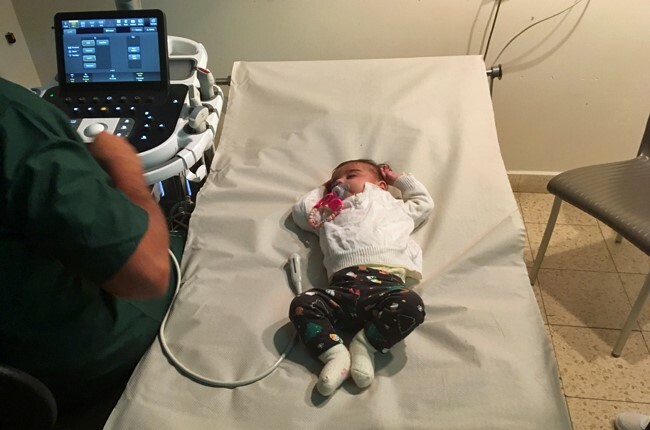 But despite the waiting, the cardiologist was able to take his time and so thoroughly look over Varin’s echo and ECGs, and give us the happy news that her heart is looking good. He also was able to explain in detail how Varin is still experiencing withdrawal symptoms of the sedative medication, which she was on for such long time. She is going to continue to wean off this medication over the coming few days. This explains why she is minimally responsive, eg to sounds and also visual stimuli. This was very encouraging, as she does seem to be showing some signs of improvement in these areas also. She is crying less, and for the last two days has occasionally smiled. The smiling in particular has filled her mum’s heart with so much joy. 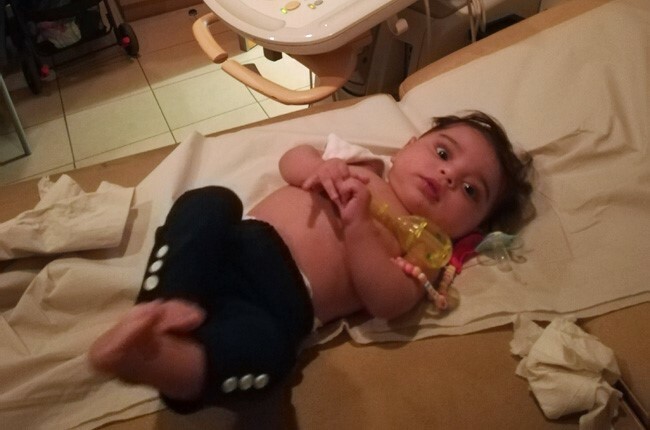 The cardiologist was pleased to say that he felt that she was physically much better, and the plan now is to wean slowly off other medications, assess the lungs and then could consider planning the second surgery. Mum is able to speak English well enough that I was able to explain this to her in the hospital. She was so happy that she hugged me and burst into tears. It was such a lovely moment of hope and joy for us, and I am so grateful to God that he has heard our prayers and had mercy on this family. 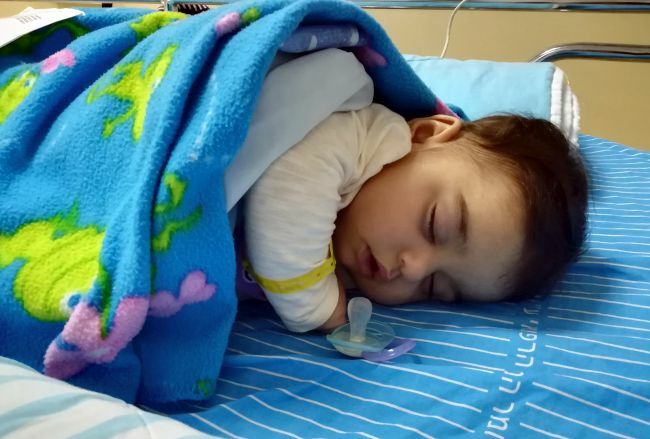 Please pray for Varin, as her recovery is very slow, but we ask for a full recovery in the name of Jesus. Praise God for his mercy and his power to heal! Thank you for lifting them up in prayer. 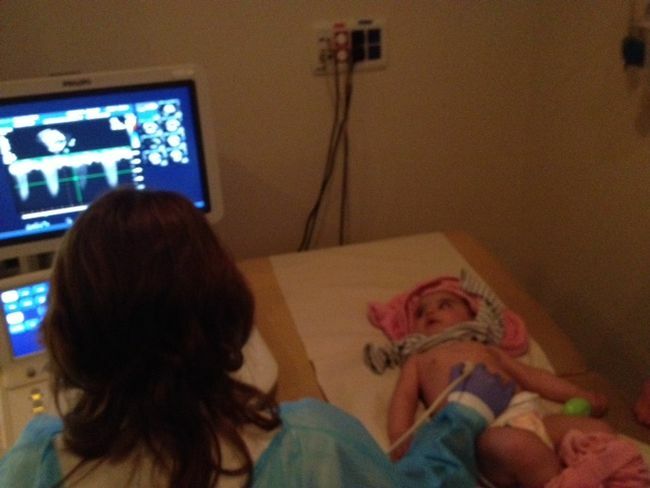 Today Malene and I went with Varin and her mother to an echo appointment. The echo was good! Varin has no fluid on the heart, the pressure in the lungs is lower. Because of this, the medications can be slowly reduced. That’s good news and Varin’s mother is also very happy. But the lungs still need time to recover before a second surgery is possible. Please continue to pray for Varin’s recovery. Varin had a few busy days. Yesterday was her echo and today she had an appointment with the opthalmologist. Varin has been intubated for two weeks because of some problems. After her extubation we noticed some changes in her. Her eyes didn’t focus and there was hardly any expression on her face. They did an eye test while she was hospitalized. Today the doctor wanted to see if there was any positive progress. After examining her the doctor did not find a problem with her eyes but there seems to be a problem with her brain. Doctor suggested to make an appointment with the neurologist, which we did. Mom is worried about the future of Varin. She still needs a big operation but the doctors don’t know yet if that can be done soon. They will wait for her recovery. Please pray with us for this girl and her mom. May God restore Varin to full strength and touch her with His healing power. And we pray that her mom will feel the peace of our Lord and Savior. We got the call from the hospital today, after such a long time, that Varin is ready to be brought home! 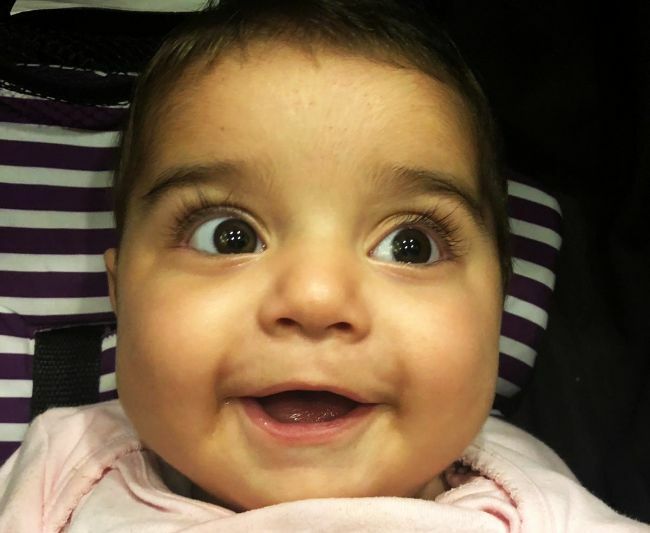 This is really joyful news for us all to hear because we have missed her and her mum with us at Shevet. She is such a light, and was clearly well loved by so many other mums and staff at the hosptial who said goodbye. She was warmly greeted on arrival home by the other mums, especially Bako’s mum who is excited to share a room with her. Varin is still in needs of prayers though. 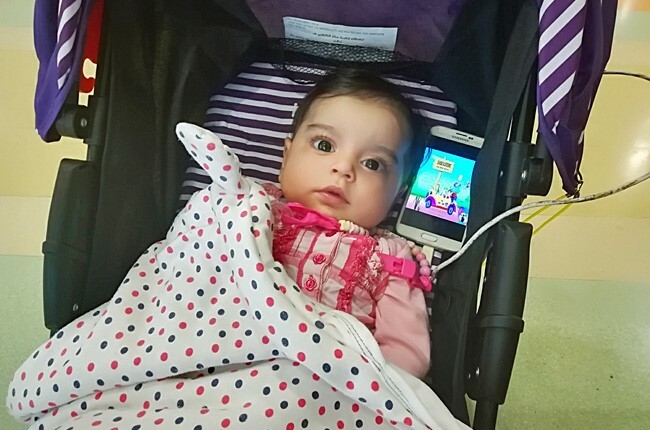 There are concerns about the functioning of her brain, as she is fairly unresponsive to lights, and sounds. 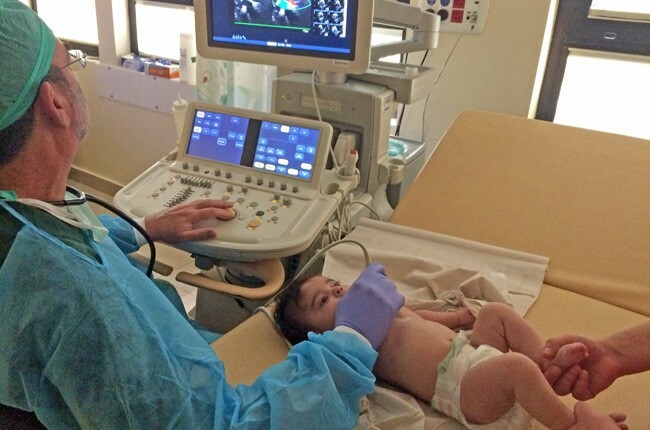 She will have a follow up to check the brain functioning, and also another ECHO for the heart surgery. The hospital staff are very happy with the heart, and say this is looking good. Today we visited Varin and her mother. Her mom is always so happy to see us. She says “it blesses her heart when we visit her.” She is such a lovely and positive mother. When I met her this morning, she was bathing Varin. I noticed the eyes of Varin looked better. She could follow what was going on. While her mother was cleaning up, I gave Varin a bottle of milk and then she had a nice sleep. This week Varin will have a CT scan of her brain. Although her eyes are better, she still has no expression or any emotions on her face. 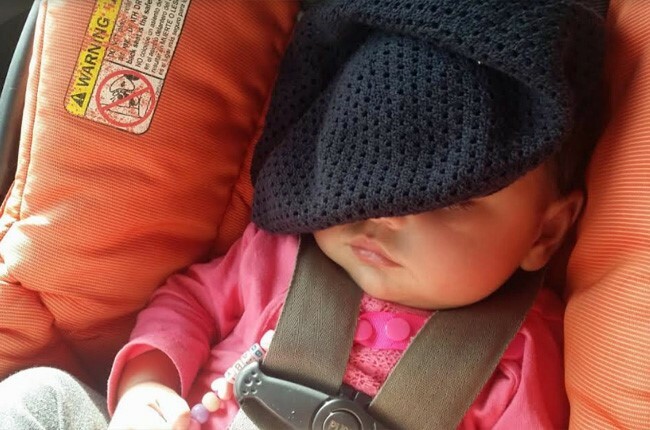 The doctors can’t give her any certainty yet. Will Varin be able to undergo the big surgery, and is there brain damage because of the long intubations and strong sedation she needed? We have many questions without an answer yet. At the moment they will try to stop the sedation but without the sedation Varin is unable to sleep. She still has a long way to go. 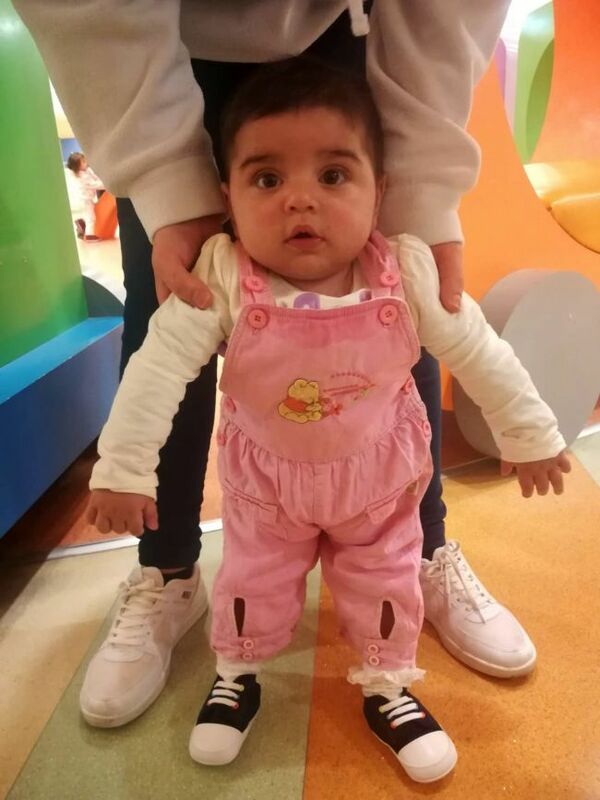 Please pray with us for a miraculous healing for this sweet little girl! Today was the most exciting day that I have lived in this amazing place. To see a happy mother is priceless. 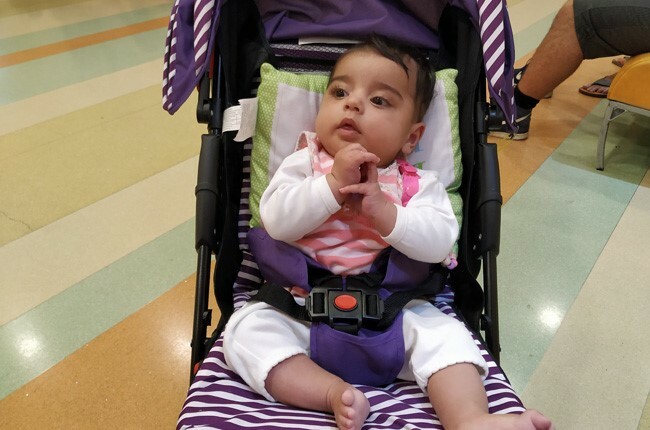 When I got to the hospital I was very excited to see Varin because 3 weeks ago I could not go to visit her. 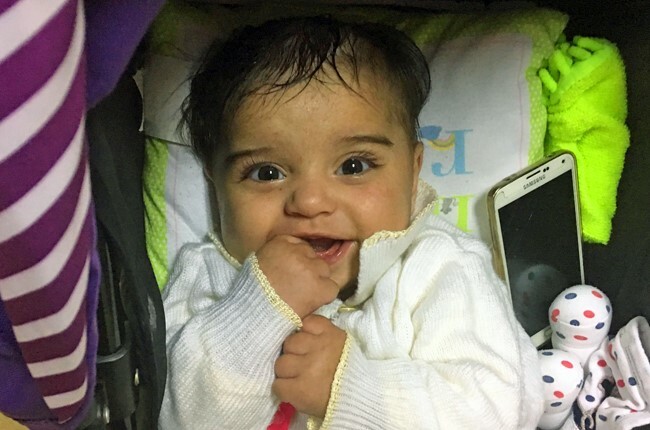 When I entered her room today I saw a beautiful smiling face; the mother had Varin in her arms and she was feeding her a bottle. 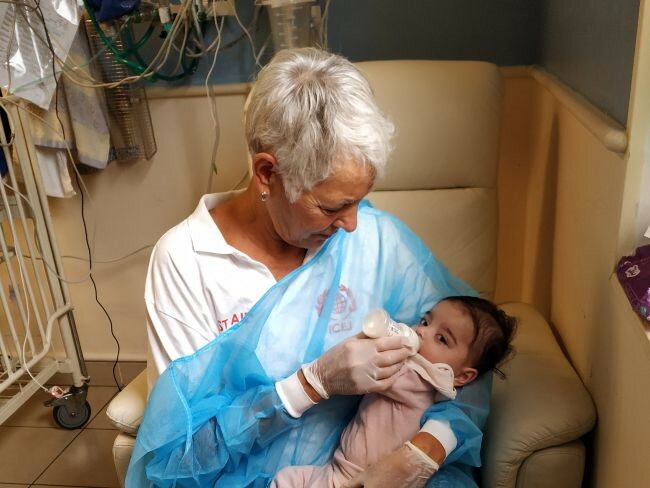 It was beautiful and when I saw little Varin with her eyes open and without the orotracheal tube that she had last time, I could not contain my excitement and joy. So I hugged them both and I remembered GOD IS FAITHFUL! When I asked her how she was, she answered with a smile: “If Varin is good, I’m good, if Varin is not good I’m not good.” It filled my heart with joy and happiness to see that Varin is much better. She is becoming more communicative. She is no longer needing lots of medication or oxygen. She still needs time to fully recover, though. Please continue to pray for the complete and fast recovery of Varin and that God will continue to strengthen her mother. Today, Varin was extubated! God is so impressive on this day. 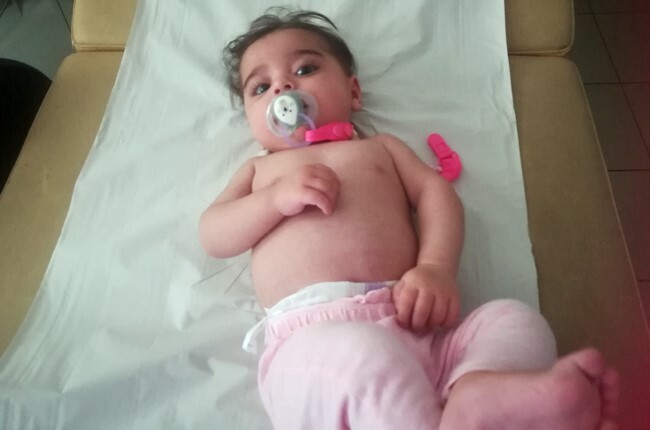 Varin has been breathing with the help of a tube for over twenty days now and we are so pleased to receive the good news that she is now breathing on her own. I was personally so blessed to be there for this day. 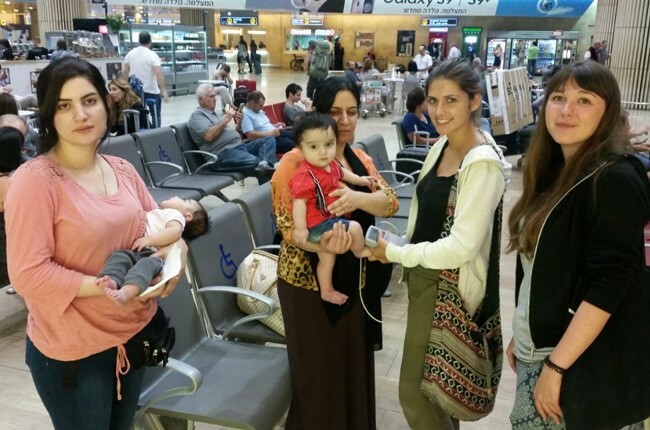 Her mom was so thrilled and thankful to both the Sheba and Shevet teams. The medical staff was so wonderful in tending to Varin over the past several weeks and it was a joy to see them happy to see Varin’s success too. Please continue to pray for Varin and her mom as her body strives to recover. Above all, praise the Lord! On Sunday, we visited Varin and her mother. As always, she was very happy to see us and quickly came across to give us hugs and welcome our new volunteers. I am very impressed how grateful she stays in the midst of her uncertainty, and her own health problems. Varin is still intubated, and the doctors changed some medications for blood pressure. Hopefully, she will be stronger because of that and slowly gain more strength to awaken. 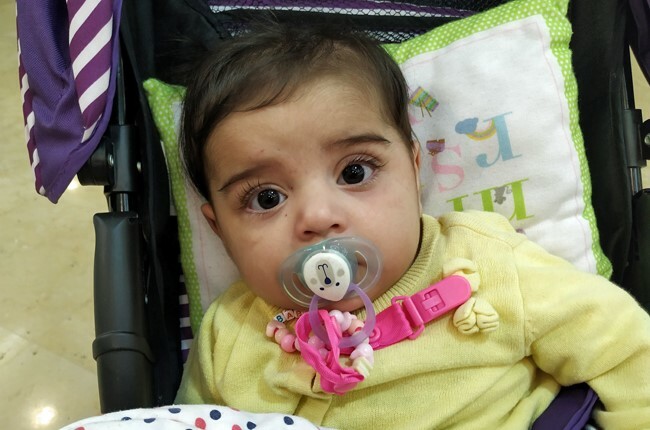 Please pray for Varin, that she receives strength, stability and strong, healthy lungs from the Lord our father. Only He can lead Varin into full health. And please also pray for Varin’s mum and her health. May she find peace and hope in the Lord. Varin had a catheterisation today. Her mum was quite nervous until she got told the news. 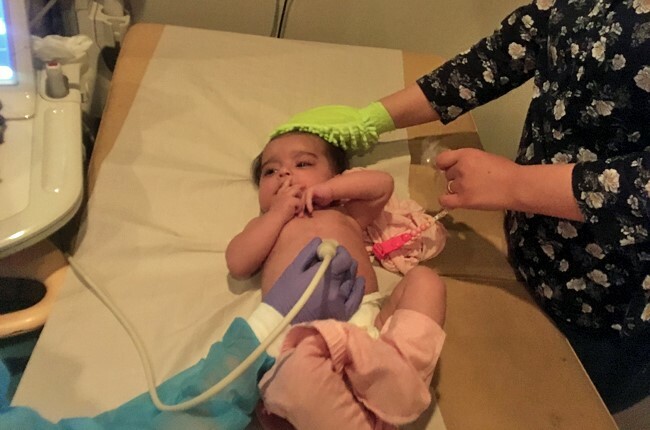 The doctor said that she is stable and her heart is good, but the constitution of her lungs are not so good. Right now they still do not know what to do next, because they didn’t get the answer why it’s not possible to extubate her. Her mum was really happy just to know more about Varin´s condition. Please pray, that the doctors will make good decisions about how to act next and that her mum goes on being hopeful. Praise him for what he already did so far! Noa and I visited Varin and her mother today. Mum is always so happy to see us, and we are always so pleased to see her. It feels like greeting family, with hugs and kisses. And as her family, we need to stand with her during this time, both by visiting her, but also by interceding for her. Varin is still intubated in intensive care, showing very little change as the days and now weeks go by. The doctor seemed slightly more positive today when we spoke about Varin. It is clear that his heart goes out to this mother. She is so interested in the goings on at Shevet, the health of the other babies, and always hopeful for Varin’s progress. Please keep her in your prayers during this time. Ask God to breathe life and healing over Varin. Praise Him for how he has sustained her mum. Ask Him to reveal Jesus to this family. As Magda and I arrived for visits today at Sheba we were met by Varin’s ever good-natured and kind mother. 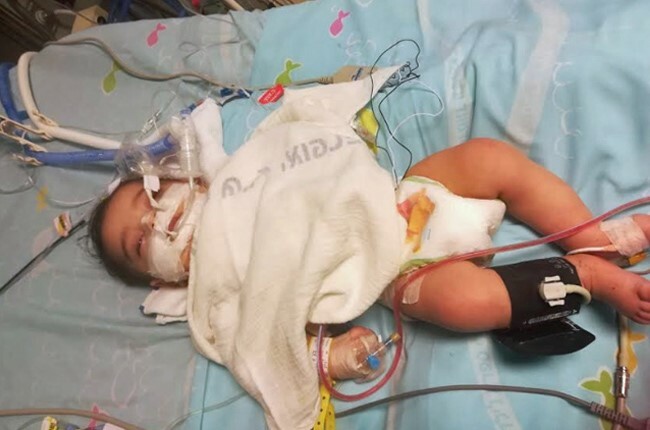 She shared that she had been asked to leave the ICU as the doctors were attempting to extubate Varin. 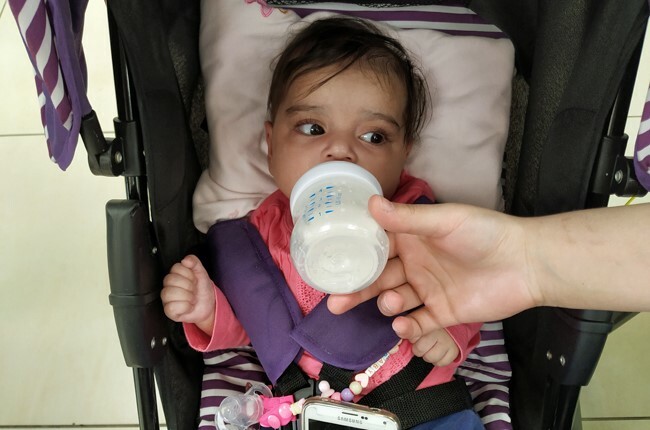 She and the mother of Bako were sharing some lunch and spent some time sharing with Magda a little about Shevet Achim and all of our attempts to use Kurdish. 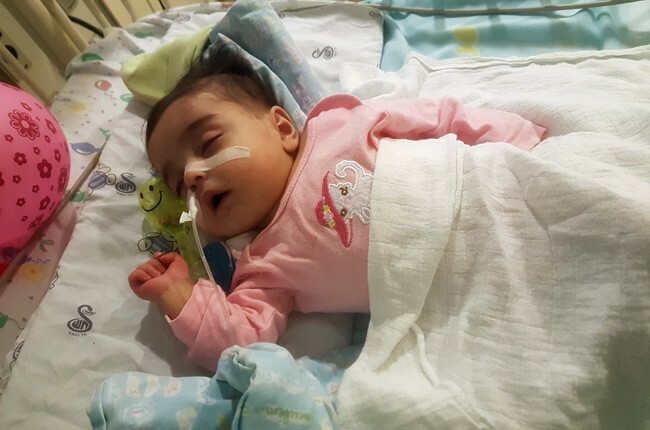 I was able to speak with the doctor in ICU who shared that it had been of huge benefit having the support of Dr. Fitoon from Kurdistan over the last few days as this had allowed Varin’s mother to ask in-depth questions about her current status and her future treatment plans. Praise God that He timed this visit from Dr. Fitoon so well. However, for Varin it has been a very difficult few days. The attempts made to extubate her have been unsuccessful and she has been unable to tolerate this so far. The next step for the doctors is to attempt extubation with the support of gas to ensure the upper respiratory system is kept open. This is likely to take place over the next couple of days. Varin still has a whole host of different wires and tubes in place to support her recovery. She is also positioned under a heat lamp. She has made some little steps of progress and is now tolerating basic procedures e.g. 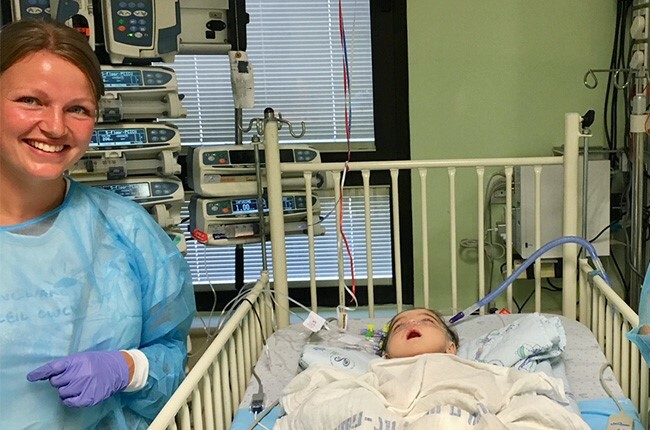 suctioning without being pre-medicated. Varin really needs a touch of life from our heavenly Father. Please pray that the next extubation attempt is successful and that she has a new God-given strength in her whole being. Please do remember her lovely mum too in your prayers; may she know the comfort of our Father and may we as a community really demonstrate the love of Jesus to her. Diana and I visited Varin and her mum today in the hospital. Varin’s oxygen levels have been quite low over night, and so she is not yet extubated. Varin’s oxygen levels have been fairly good before surgery and so mum was quite worried as she says they had dropped to 30 or 40 percent. The doctor said that Varin has had an echo but they are waiting for the Cardiologist to analyse it later on in the day. This will be able to give further information as to what intervention Varin might need, if this is a second surgery, and also to indicate when this might be. Mum seemed determined, and full of energy, wanting to know what is best. 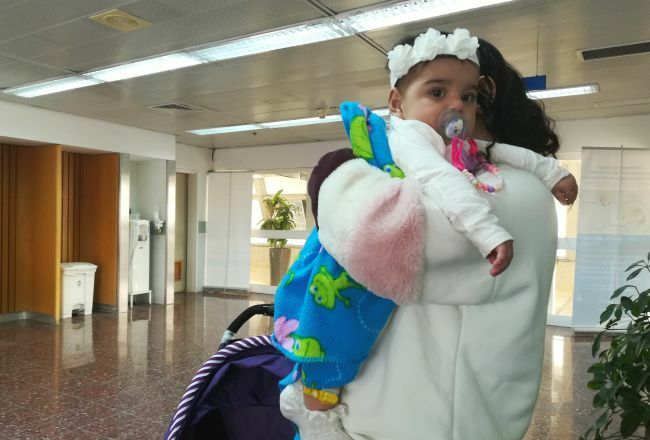 She articulates so effectively in English, that she wants Varin to be well and she wants to stay in Israel for as long as it takes, even though she misses her family in Kurdistan. 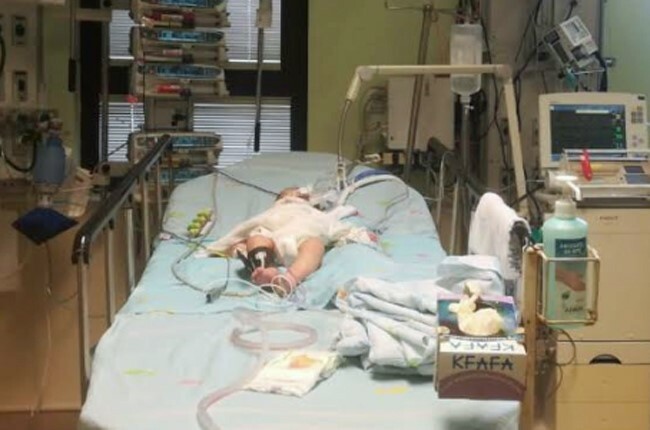 Please pray for little Varin. Please ask the Holy Spirit to fill her body and continue to give her strength. Please also pray for her mum, who we all love and want to stand with and support her through this time. “Have you had anything to eat?” my wife, Robyn, asked as we met Varin’s mum in Sheba’s Secondary ICU ward. “No! No breakfast, no lunch!” she replied. “Varin very hungry too!” But, unlike her mum, Varin had a medical reason. 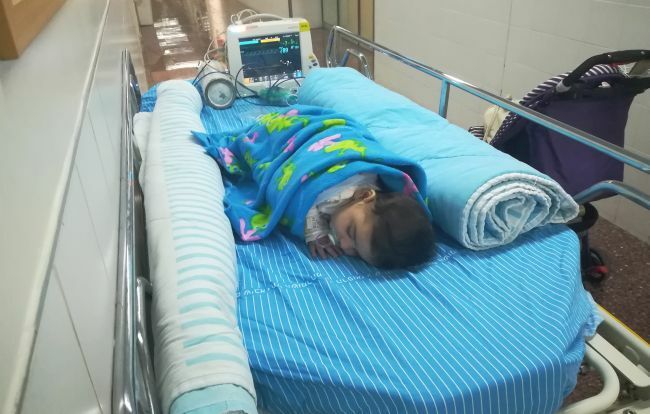 She had been fasting in preparation for her first operation. Soon enough the surgeon and anaesthesiologist came with forms to sign and procedures to explain. With telephone translation help from London the permission process finally completed. Varin’s mum kissed her little ‘pride and joy’ as the anaesthesiologist took her away. Only then did Varin’s mum turn to enjoy the meal that Robyn had brought her earlier. “Everything went well,” the surgeon reported 3 hours later. 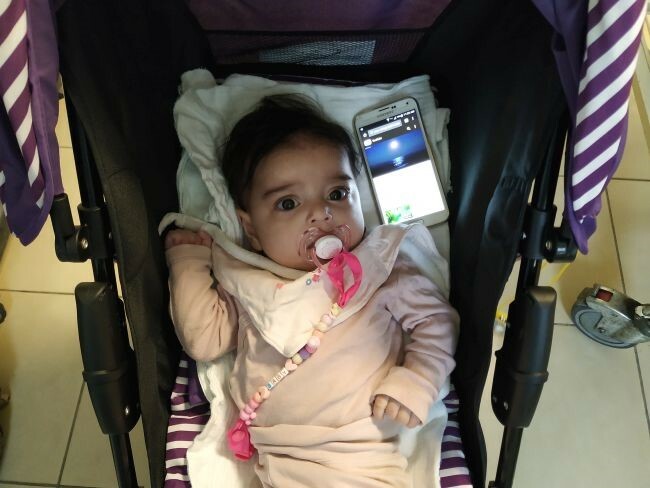 “Let’s see how she recovers in the next 24 hours.” Varin’s mum was relieved as she rang London again for interpretation help. Thank you for praying for annointed surgeon’s hands. 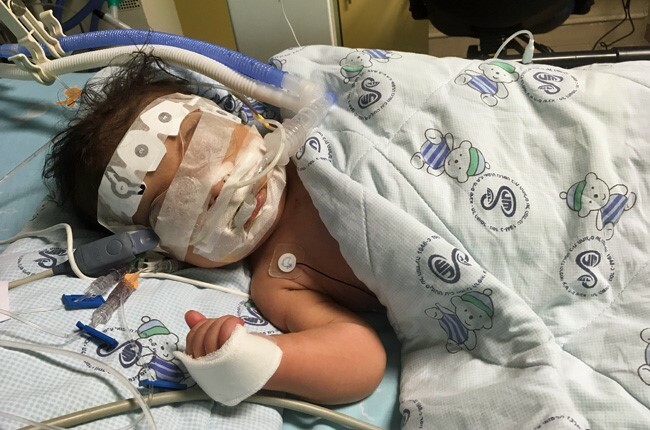 Please pray that little Varin’s heart will adjust to the new conditions over the 24 hour recovery period and go from strength to strength. I had the joy of being able to break the long awaited news to Varin’s mum… Varin can come to the hospital today! Mum was absolutely delighted! 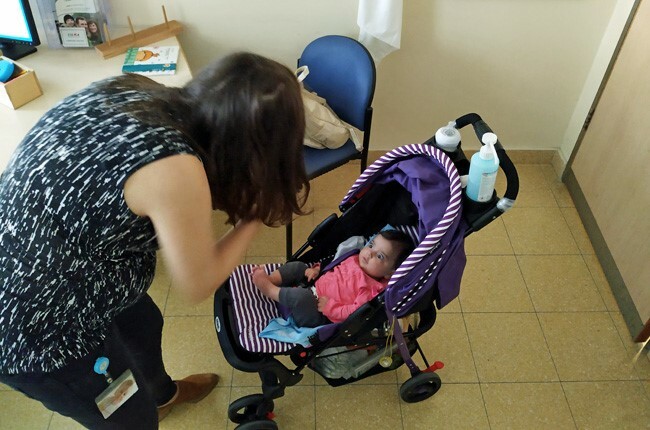 She has waited so patiently for quite a few weeks for Varin’s surgery, that we all shared in her joy as she quickly packed and left for the hospital. 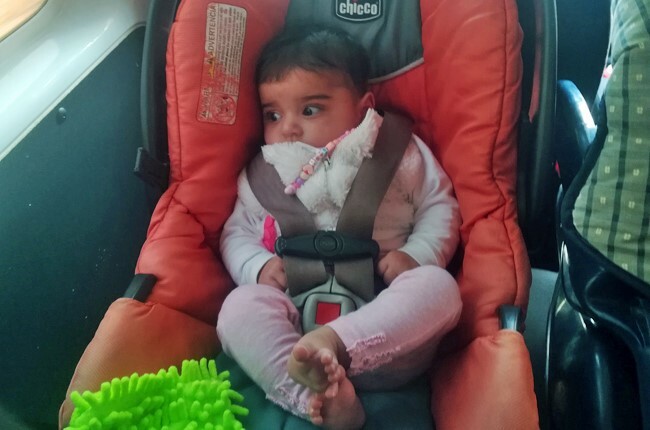 We had a fun journey up in the car, full of Kurdish music and conversation. Mum can speak increasingly better English and it is always great spending time with her. She cares so deeply for Varin, and is so friendly. Varin was given a bed so quickly this time, in a private room, which mum was happy about. Since her admission, Varin has had various tests to prepare her for the surgery scheduled tomorrow. Praise God that he has made a way for Varin to come for surgery today. Please pray with us that that the surgery goes ahead as planned, and is successful. We thank Jesus that his eyes are toward this precious family and that he holds Varin in his hand. 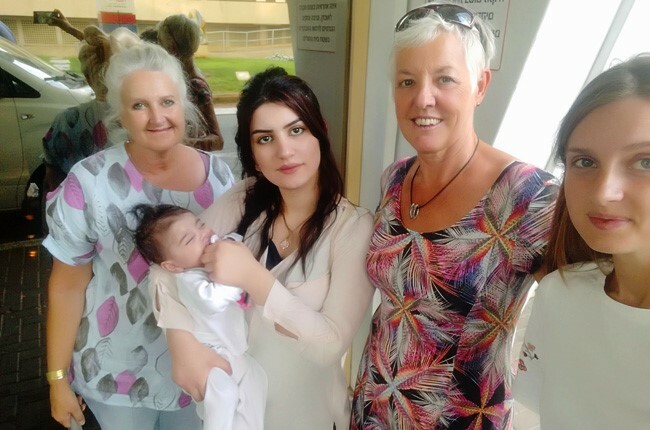 The first visit to Sheba hospital was a very impressive moment for Varin and her mum. The nurses checked her oxygen saturation, blood pressure, weight and they also did an electrocardiogram and an echo for her. That was very exhausting for Varin and she started to cry during the echo. But the doctor was very patient with her and waited until she calmed down again. Her heart failure is very complex, but the doctor is optimistic that they can help her. Before he can decide what the next step for her is, he will do a CT scan. Hopefully they can do it this week. 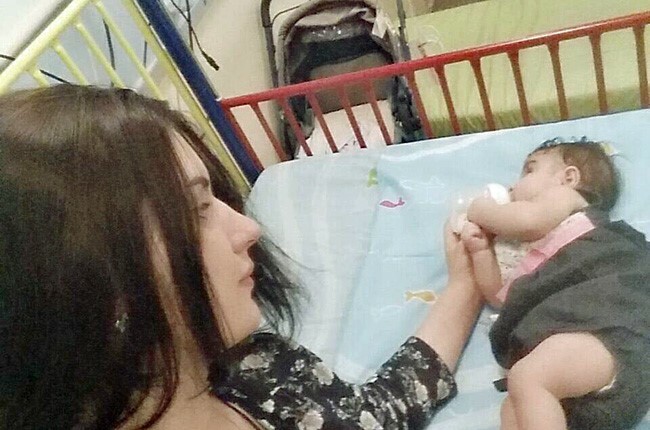 Until then we have time to get to know beautiful little Varin and her lovely mum better. Blessed Varin has come all the way and is now at our house in Jaffa. Thank God she was able to travel well and come in good time. Her mother is a picture of grace and strength and is watching over her like a lioness. We expect a good complete surgery. Varin’s AV canal defect involves problems near the center of the heart. A hole between the chambers plus issues with the connecting valves results in too much blood going to the lungs and then the heart muscle growing overly as it pumps more. Please say a prayer for this special family and their time ahead. They go for first assessments tomorrow. Varin is just three months old, but needs emergency intervention if her life is to be saved. 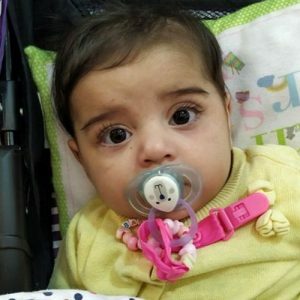 Her parents have been calling almost daily to plea for her rescue. 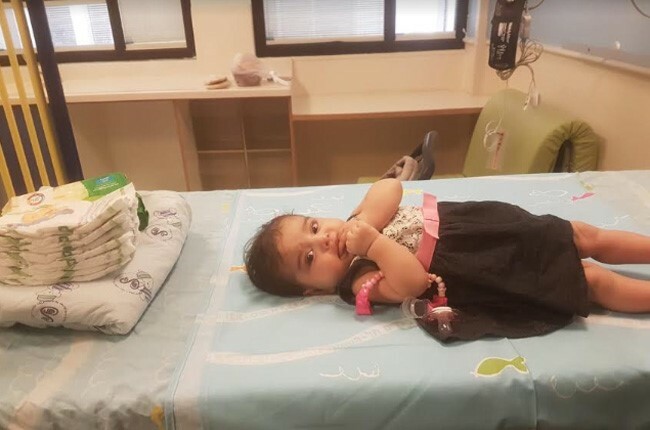 God willing she will reach the hospital in Israel before the end of July. As of right now, Varin still needs $0 toward surgery and related expenses.